To increase the demand for opera in the community by creating innovative and interesting performances and events that will attract and engage new and existing audiences as well as create work and performance opportunities for artists residing in Saskatchewan. 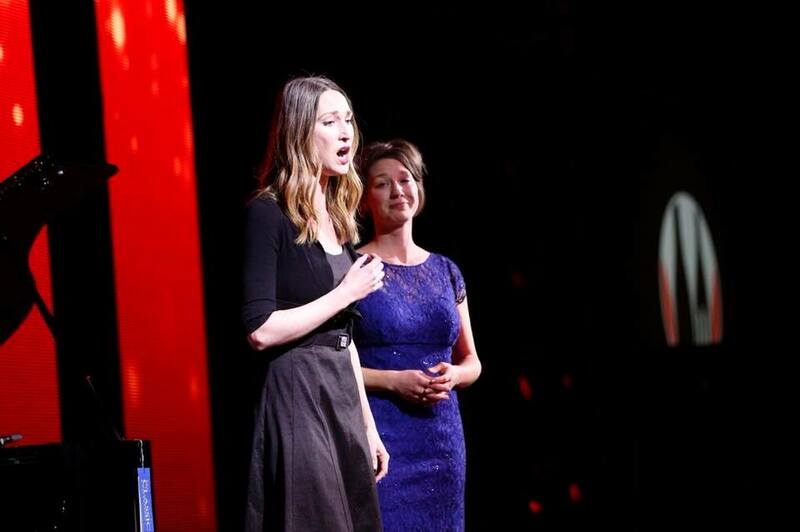 Founded in 2012, A Little Opera On the Prairie, know to our supporters and audiences as "LOOP", is the brainchild of Founder and Artistic Director Anastasia Winterhalt who was recently short-listed for the 2014 Lieutenant Governor's Arts Awards "Leadership" Award by the Saskatchewan Arts Board. LOOP creates opportunities for local singers, offers opera in a variety of formats, fosters new and existing audiences, and tells great stories – both old and new! LOOP was launched in 2012, with the support of an ArtsSmarts grant from the Saskatchewan Arts Board. Working in partnership with Susan Reschny, Anastasia encouraged and supported school students as they wrote, performed and produced a 30-minute opera. The project helped to both break down classroom social barriers and inspire interest in opera and the arts among students. In September 2012, LOOP pulled together a team of performers from across the province to produce Dean Burry's opera, Isis and the Seven Scorpions, which received support through the Organization of Saskatchewan Arts Councils (OSAC). In December 2013, LOOP produced Hansel and Gretel. In February that year LOOP joined forces with Saskatoon's Live Five Theatre, Ritornello Chamber Music Festival and the Saskatoon Chefs' Association for the Chefs' Association Gala and Showcase, an evening of music, theatre, opera and culinary delights. SInce then, LOOP has started to regularly produce events such as our annual Masquerade, recitals, and small operas.